Any recipient of the Cherry Wood Key to the City Award Plaque will feel more than adequately honored. This is a Freedom of the City Award that ceremoniously reminds the honoree of that special day when his or her righteousness was recognized in a big way by an appreciative community. The impression this beautifully finished cherry plaque makes is everlasting. The recipient will be proud to hang it up, not just because of what it symbolizes but also because of the way it looks. 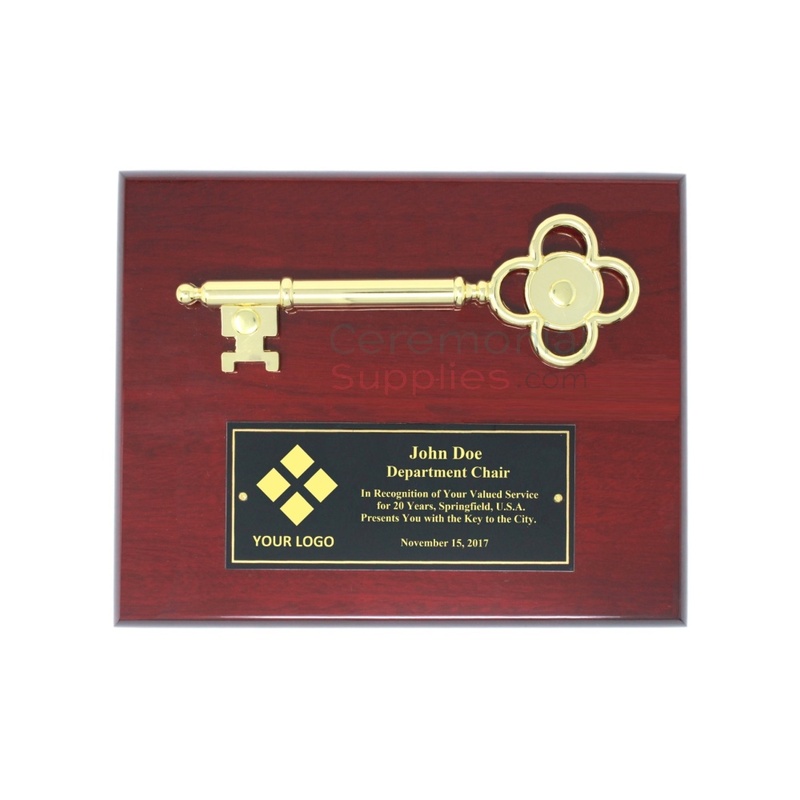 The Cherry Wood Key to the City Award Plaque is one of our top choices when it comes to ceremonial keys.